I've heard good things about Patrick Carman. This one sounds interesting. I'm not familiar with these series but it sounds exciting. O neat. You had me at the year. This sounds really great. Nice pick. Ooh adding this to my list now! This sounds like a fabulous read. I am SO excited for this one. I loved his book Thirteen Days to Midnight enough that Patrick Carman is now on my auto-buy list. Doesn't hurt that Pulse sounds intense, and right up my alley. And I kind of love the cover a whole lot. The tree? Beautiful. I haven't read anything by this author, but agree with everything you said and this one sounds like it could hit the mark. Great pick! He is a fantastic writer, so I am looking forward to this one as weel!!! This sounds like its gonna be crazy. Going on my TBR list. Sounds interesting, and the cover is amazing! Oooh mind powers! And what a stunning cover - definitely being added to the TBR pile! 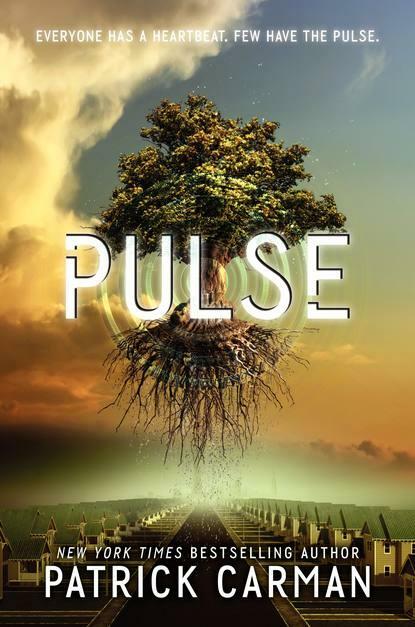 Pulse really looks great and I've heard amazing things about Patrick Carmen. Definitely going to check this one out!